Above Nifty Chart Shows Buy/Sell Signals Buy means Buy or Exit Shorts . 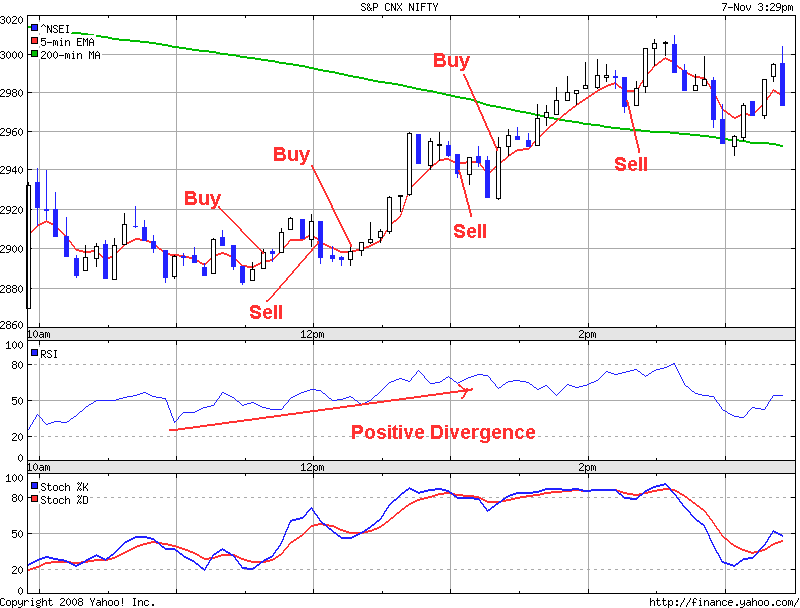 i would like to know how the 2 period RSI is used to make or confirm decision for buying or selling in your example ? Thank You. Thats a pretty old strategy no more working in this matured market. If 2 period rsi is outdated, Then what would you prefer for nifty futures trading and the how many minutes candel stick chart is better for interday trading.